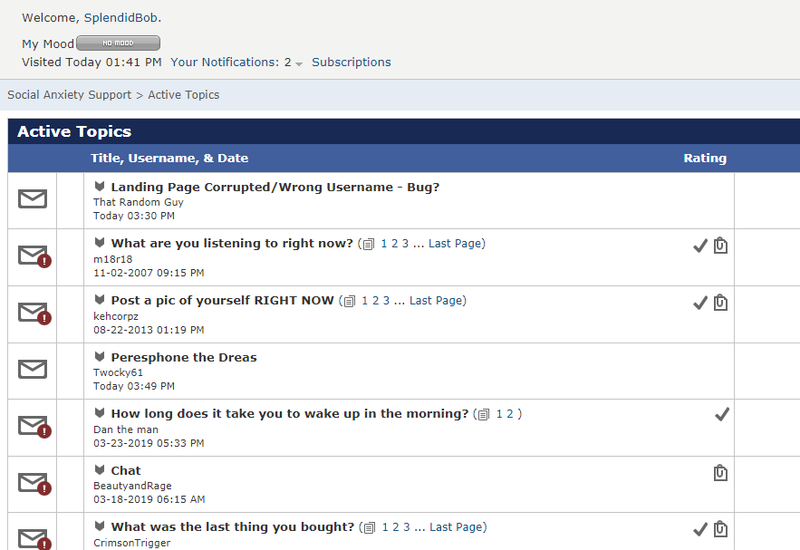 Social Anxiety Forum > Management > Board Help and Feedback > Landing Page Corrupted/Wrong Username - Bug? Landing Page Corrupted/Wrong Username - Bug? What immediately struck me was finding that I had not only been signed in but as a different user (all via simply accessing the page). At least, this was my initial observation. Freaking out, thinking I'd get nailed for an obvious misunderstanding, I clicked on the logout link found on the page. It worked, and I was taken to that page everyone sees when they logout. Thinking I discovered a bug, I logged on with my own account and in the middle of typing this post, felt the need to reproduce this weird glitch. So, now while still logged-in to my account, I yet again visited the above linked-to page. To my surprise, I again see the wrong username in the top section where it's usually displayed. Curious as to what happens, I clicked on the Private Messages link and the page it took me to was the expected one (with accurate PMs) where the correct username was now being displayed at top. Till now, I haven't tested any other specific page while logged out but this glitch happened to me both while logged in and not logged in. 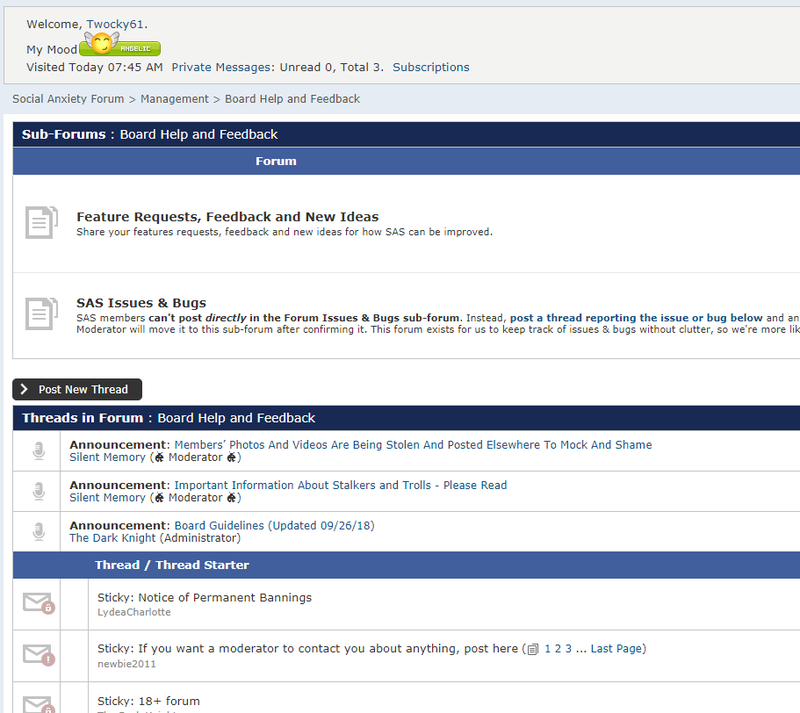 While logged in, it appears that only the landing page or forum index is the page with the weird glitch. Is this affecting anyone else or is this just me? P.S. - I took a screenshot of what I see, but to avoid any conflicts, I omitted the image. On request, I would be more than happy to provide it to someone via private channels. This is the list of members whose accounts were accidentally accessed by other members. As more accounts become known, I will add them here. “Though I have always made it my practice to be pleasant to everybody, I have not once actually experienced friendship. I have only the most painful recollections of my various acquaintances ..."
Last edited by Silent Memory; 03-26-2019 at 03:14 AM. Reason: I added a list of members who had their accounts seen by other members. Yes, I became @Persephone The Dread and then @Twocky61 . Wtf? I still can't function as myself - password doesn't work, and I end up logged in as Persephone? I tried to post a reply here and it all got messed up - 2nd try? Uh yeah wtf is going on I just clicked on a thread and ended up logged off, clicked to the homepage again and I was logged back in? A minute ago I was signed in as twocky needless to say this is a serious problem. How have you managed to **** up so bad guys? there's a man flirting with her, & reminding her, how wonderful she is. there's a man stealing smiles from her. Can you please respond to this now/asap? If I click on my pms it leads me to @rabidfoxes pms. This is a serious security/privacy issue, please fix this. 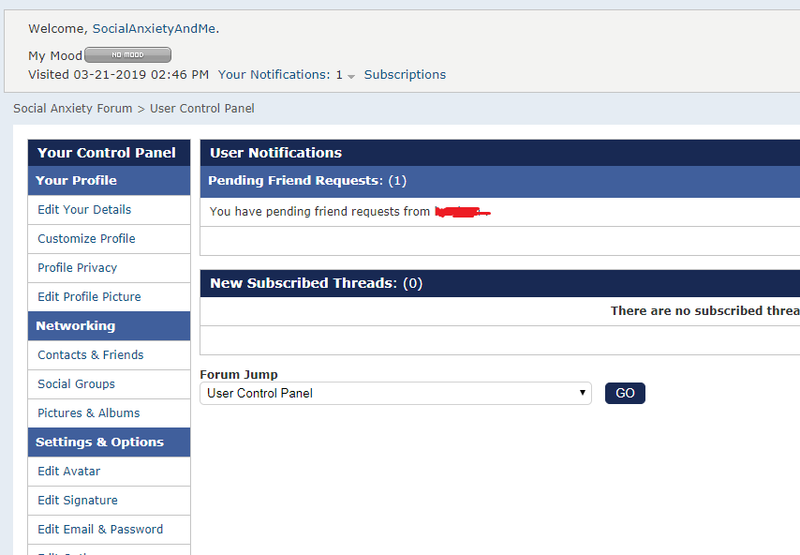 Also if I click edit friends because I wanted to view my own list it leads me to socialanxietyandme or someone's with a similar name to that. So depending on what link I click on there are several different posters accounts it says I'm logged in as. Yeah. It's telling me I'm Samantha Strange. Not even sure if I can post this. Well, that worked. But I wouldn't be surprised if it isn't still messed up and this page is only working for me temporarily. Some pages display correctly and some don't. I'm also being logged in as you. WTF is going on?! These are some screenshots to show some of the posters I end up logged in on depending on what page I'm on. If I click pm's I'm also rabidfoxes as previously mentioned. on some pages I just come up as logged out too. They should've saved this a week for April 1st, would've been perfect then. Hasn't affected me yet, though. Perhaps one has to log out first? I don't know if this will even post, but this is Ape in space. It was showing that I was Helena at first, now it's showing that I'm IAmCodeMonkey. 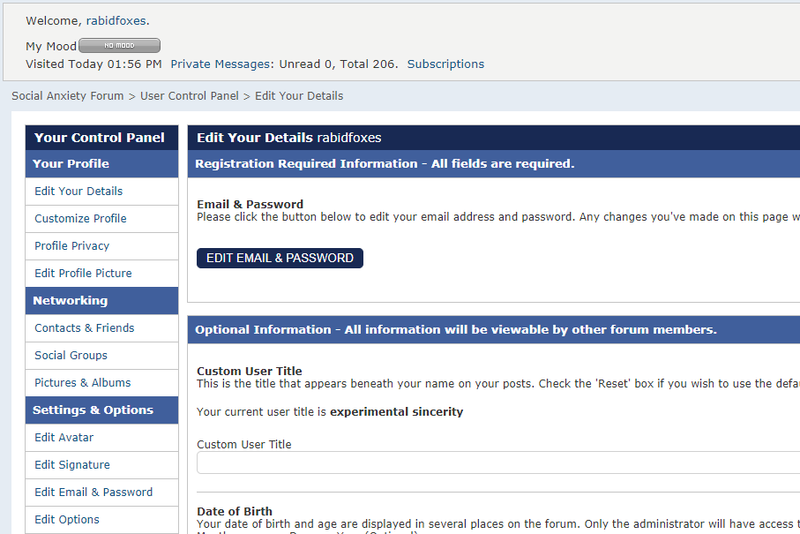 While typing this, it's showing that I'm Ape in space as I should be, but who knows what will happen when I submit. This is the second time I'm trying to post. The first one disappeared into the ether. lmao you have the power now. Seriously though I feel like we're part of some failed attempt at a social experiment. Hmm can't seem to quote, just tried to and post didn't appear. edit: oh it's appeared now. I wish I knew. I sent Silent Memory an email about this but she might be asleep.